I hope this post is not too late because January is about to end. But I know that most of you are still trying to organize everything to start the year right. 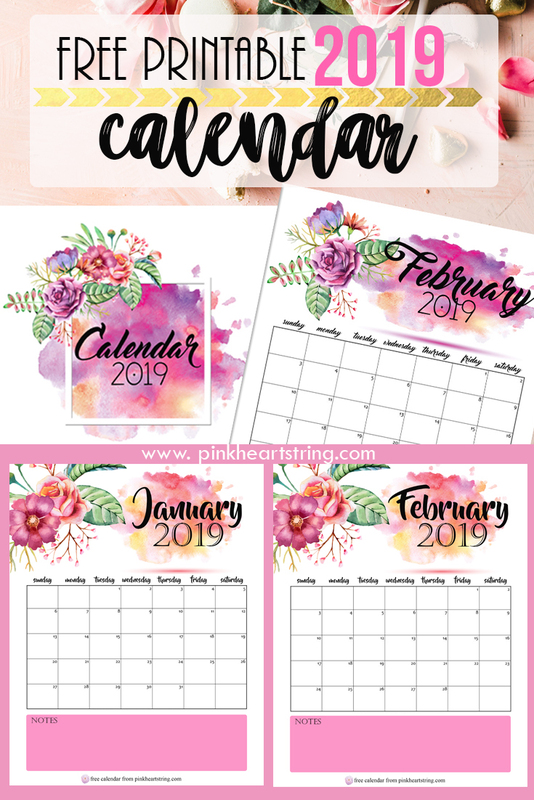 Well, as the title suggests, I'll be giving you free 2019 calendars. I actually designed this months ago but I'm really busy with so many things that I wasn't able to share it to you at once. And I have to make sure that I could post it here before the month ends or else all the time I spent to make it will be put to waste. To be honest, I wasn't really working on this blog for a very looooooonnggggg time! Yes, there are posts on this blog but most of them are guest posts. I did that to keep the blog alive. However, I saw a very huge difference when comes to traffic. I had higher traffic when I personally blogged and share some things that I like on this blog. SOOO, this year, I'll start blogging again. I'll write posts for you guys including the DIYs that had been sleeping on my laptop. Yup, I actually have a lot of pictures for my DIY articles but I just didn't have the time to post them. Although I just got the new look of my blog a year ago, I'll improve my logo and branding, especially that I am aiming to get more following on social media. I also hope to have more product reviews again. In fact, I still need to post some reviews I have done before! I'll be posting more mommy tips and helpful tips for everyone as well. I also need to improve old posts as well. OMG! So many things to do! I'm thankful that last year, FeedSpot included me in their list of top 100 bloggers and I was the winner of the Asian Mom Blog Awards from Mr. Discount.hk. Hope to get more recognition and collaborations for my blog too. Well, I just hope I could do all this even if we will be having another baby this year. Help me pray that I'll have a safe pregnancy and delivery. So here is the freebie part. 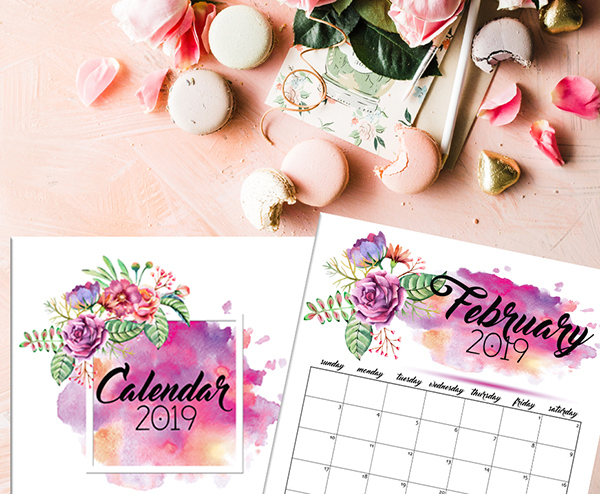 When I designed these calendars, what I have in mind are flowers and watercolor. Hence, this is the output. You can write reminders or just anything on it since it has enough spaces per day. There is also an extra part where you can write other important things. The calendars are 8.5" x 11" in size or equivalent to the size of a short bond paper. You can print them on board papers or on photo paper. 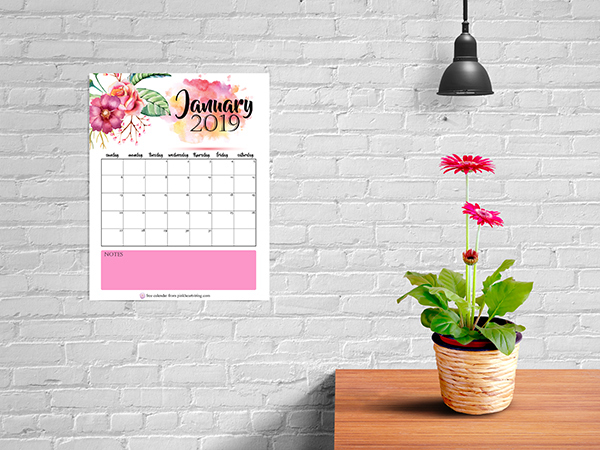 I hope you like the designs of the calendars and above all, I hope you can use it for your daily and monthly planning! Your calendars are so pretty! Thanks for this! Btw, congrats on being in the top 100 of feedspot. I also like to get more serious with blog this year hihi. Good luck to us! Congratulations on your pregnancy and your blog recognitions. One of my blog goals is to be more consistent in updating my blog this 2019. I also hope to win another blog award this year. These calendars are lovely. And congratulations on your winning.